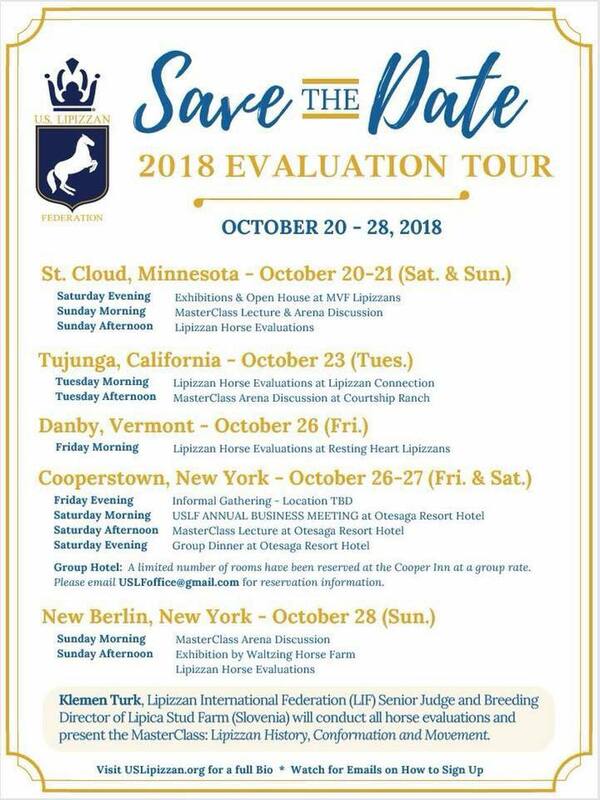 Mississippi View Farm Lipizzans is pleased to announce we will be hosting a stop on the 2018 United States Lipizzan Federations Evaluation Tour October 20 - 21st. There will be a Masterclass and lecture presented by Klemen Turk, LIF senior judge and breeding director of Lipica Stud Farm. Everyone is welcome to come and learn more about Lipizzans!